Under an advertising straplineof..."it's how car buying should be"...Motordepot have stepped up their championing of the virtues of Personal Contract Purchases (PCP's). The plan - which offers much lower monthly repayments than a like-for-like Higher Purchase (HP) deal - has experienced a boom in popularity in recent years, and most analysts expect that trend to continue in the age of increasing numbers of finance-savvy customers. So, what exactly is a PCP and why are the monthly instalments lower compared to a traditional HP deal? Well, the short answer to that question is, under a PCP you are not paying off the entire value of the car - just effectively the vehicle's depreciation over an agreed period. 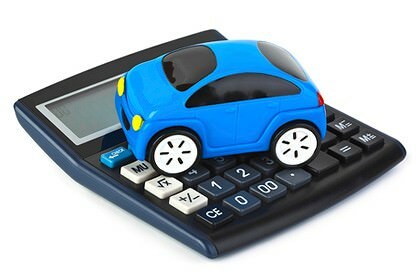 When taking out a PCP, a Guaranteed Minimum Future Value (GMFV) will have been calculated at the outset, meaning that when a PCP agreement has expired, the customer has the option of either paying the outstanding balance (either in cash or through financing)...simply handing the car back and walking away...or part-exchanging as part of a new deal. It's this flexibility - coupled with lower payments - which is one of the key attractions of the PCP, particularly as most customers tend to change their vehicles after three to four years anyway. Customers who continuously opt for the PCP route, not only get the perpetual pleasure of driving a newish car, but also the peace-of-mind that their vehicle is covered under the manufacturer's warranty. Motordepot's managing director Steve Butterley says: "The PCP finance option has been around for a number of years but, over the last 18 months or so, it has boomed in popularity and we now seem to have reached a tipping point." "Almost half of our finance customers are now taking out PCP's, because they can tailor a deal to tick all of the boxes relevant to them. They are attracted to low deposits, low monthly repayments, and the fact that they don't run the risk of being mired in negative equity at the end of the agreement." "We firmly believe it is 'the future' as far as vehicle financing is concerned." In driving home the benefits of the PCP through a new advertising campaign, Motordepot is also keen to lay to rest the misconception that such deals can only be applied to brand new cars. The rule of thumb is that a vehicle cannot exceed 8 years old at the end of the contract, meaning that even a 4 year-old vehicle can be financed over a four-year period, leading to some astonishingly low monthly repayments. "If there are any customers out there who still aren't quite sure about PCP's, our sales advisers at Motordepot are willing to answer any questions they may have. But, in our experience, more and more people are finding this is the deal which is right for them, and I would strongly urge anyone to consider it as a first option."